Epos the Flame Bird is said to be the most terrifying of all beasts. On his final quest, Tom must venture into the burning heart of a volcano and embark on his fiercest battle yet. Can Tom free Epos from enchantment and restore peace to Avantia at last? Its very exciting and awesome. 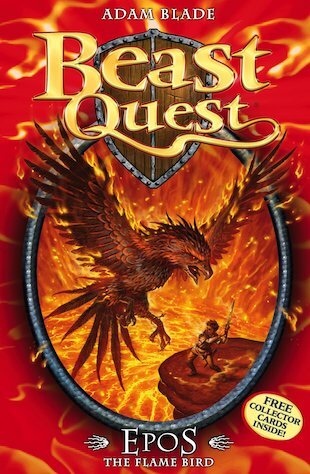 Beast Quest books are great and I especially love this one as Epos is my favorite charachter. you will love it. I thought it was a great way to end the series and it was smart that she lives in a volcano.